Hum TV is Pakistan's Premier TV Channel Geared Towards Providing Quality Entertainment TV Programmes for the Entire Family. 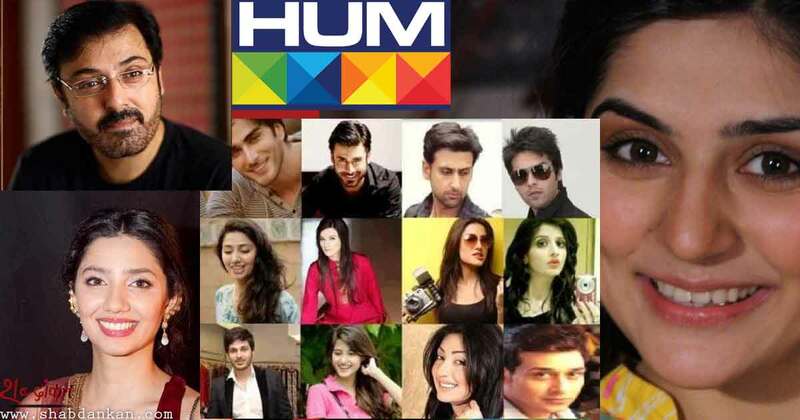 Watch Live Pakistani Dramas online, HUM TV Dramas, Live Show, Dramas OST, OST, Watch Hum Tv Dramas online, Special show, Telefilm, Zindagi Gulzar Hai, Humsafar, Maat, Durr-e-shehwar, Mata-e-Jaan Hai Tu, Bilqees Kaur. After successfully creating the critically acclaimed drama “Rehaii” Kashf Foundation and Momina Duraid Productions have joined hands again to create Udaari which focuses on the social and economic marginalization of women in Pakistani society, while also highlighting deeply rooted problems such as child sexual abuse, in order to break the myths and taboos around these issues and provide solutions for their redressal. Cast: Ahsan Khan, Farhan Saeed, Bushra Ansari, Behroz Sabzwari, Urwa, Samiya Mumtaz, Layla Zuberi, Mariyam Fatima, etc. Haya Ke Daaman Main is a story of a girl named Haya the only child of her parents, she wants to live her life with full of happiness without any sorrow, but something happens and her complete life suddenly changes all her happiness changes into sadness and grief. Cast: Jahanzeb, Nida Khan, Hammad Ahmed Farooqi, Mariyam Nafees, Behroz Sabzwari, Fazila Qazi, Muhammad Qavi Khan, Afshan Qureshi, Sangeeta, Amber Wajid, etc. This is a story about a woman named Pakeeza married to a Jibran who cares less about his wife and family. Pakeeza finds solace in a friend named Azeem who always encourages and supports her at every step of the way. Cast: Aly Khan, Amina Sheikh, Adnan Siddiqui, Angeline Malik, etc. Zara Yaad Kar is a New Pakistani drama serial starts from15th MARCH 201 6at Hum TV. It is directed and produced by Amna Nawaz Khan and written by Khalil-ur-Rehman Qamar under her production company. It stars Zahid Ahmed, Sana Javedand Yumna Zaidi. Cast: Sana Javed, Yumna Zaidi, Saba Faisal, Zahid Ahmed, Yasir Mazhar, Rashid Farooqui, etc. Mann Mayal is a Pakistani TV drama serial that premiered on Hum TV on January 25, 2016. The story of drama serial is told in a deeply serialized way and it follows the lives of Manahil a college student and Salah-ul-Din a motivated person, who despite having a strong future career planning, falls in love with her but they incapable to unite because of family disputes and fate barriers. Mann Mayal Cast: Hamza Ali Abbasi, Maya Ali, Aisha Khan, Talat Hussain, Saba Hameed, Arjumand Rahim, Abdul Vasay Chaudhry, Gohar Rasheed, Naeem Tahir, etc. Sehra Main Safar is the story of a girl, Iqra (Zarnish Khan), who likes being in a house and doing household tasks. She has no idea of doing a job and never wants to do a job either. Her father, Farooq is a very smart man and when he retires, the signal is that the duty of maintaining the house lands on Iqra. Her father is the uncle of Ayaz (Ali Kazmi), who likes Iqra. Watch the cute story of Iqra and Ayaz unfold. Cast :Emmad Irfani, Zarnish, Ali Kazmi, Afraz Rasool, Lubna Aslam, Humaira Zaheer, Sheheryar Zaidi, Isha Noor, Hania Naqvi, etc. Watch ‘Sehra Main Safar’ every Friday at 9:10 pm only on HUM TV .